The General Post Office in St. George’s is open Monday through Friday, 8:00 am to 3:30 pm. The Post Office is closed on Saturdays and Sundays. Postage stamps may be purchased at the University bookstore, the SGU mailroom on the True Blue campus, the General Post Office in St. George’s, Bryden and Minors Stationery Store, and the Spiceland Mall. In addition, there is also a sub-station in Grand Anse, which is open from 8:00 am to 4:00 pm. Mail can be placed in the slot at the True Blue mailroom or at any Post Office. The regular mail service accepts only Grenadian postage stamps. The charge is EC $1 for a postcard and EC $1 per half-ounce for a standard letter to the United States, United Kingdom, or Canada. Please inquire at the Post Office for other nations. FedEx® also services Grenada. 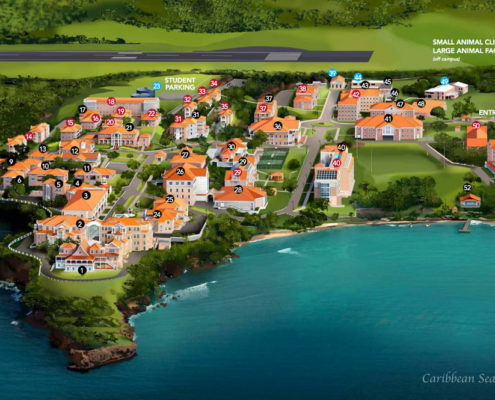 FedEx® items can be sent from the True Blue campus or from their office on Lagoon Road in St. George’s. Be aware that FedEx® cannot deliver items in one day in most cases. The cost of delivery is high, and there is a two-day commitment for items coming into Grenada and next day service for shipments to North America. Fax services are available on the first floor of the West Wing of Founders Library. Faxes can be sent for EC $2 per page to the United States. Copies cost EC $0.25 per page. When traveling down to campus, we do not recommended sending bulk packages as an alternative to bringing items with you on the plane. 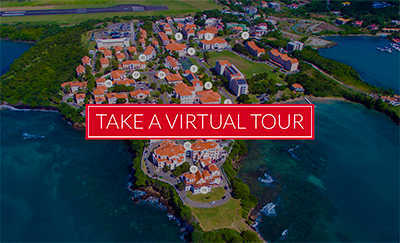 Shipping to/from Grenada is expensive and slow. 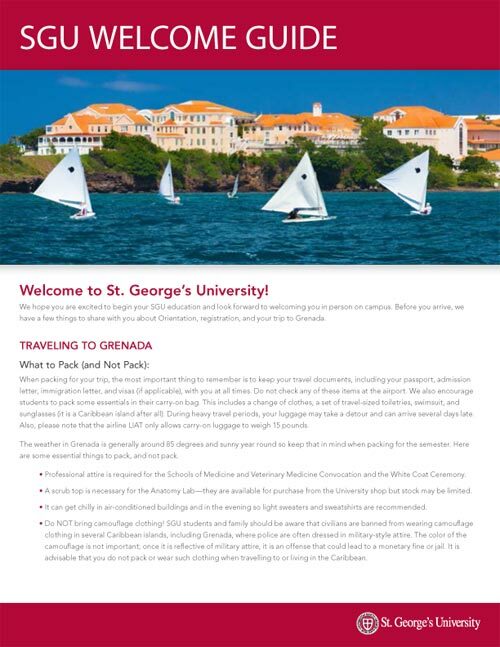 Additionally, all packages mailed to Grenada are subject to search by customs, and applicable duties are charged (for example, 55% on food). We recommend that you bring anything you will want for the term down with you on your flight. If shipping is necessary, you may wish to consider airline shipping services. Please see our Travel Information/Shipping for more information on airline shipping.